Access from FOECHS Foreign Office Employees Cooperative Housing Society Rawalpindi to different points of interest. I-16 has been used as a reference point. 1: Beacon house Educational complex: 28 mins. 2: Zero Point interchange: 39 mins. 3: Rawalpindi Saddar: 37 mins. 4: Quaid-eAzam int Hospital: 22 mins. 5: Daewoo Bus terminal: 21 mins. 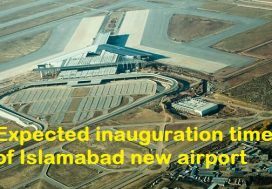 6: New Islamabad airport: 40 mins. 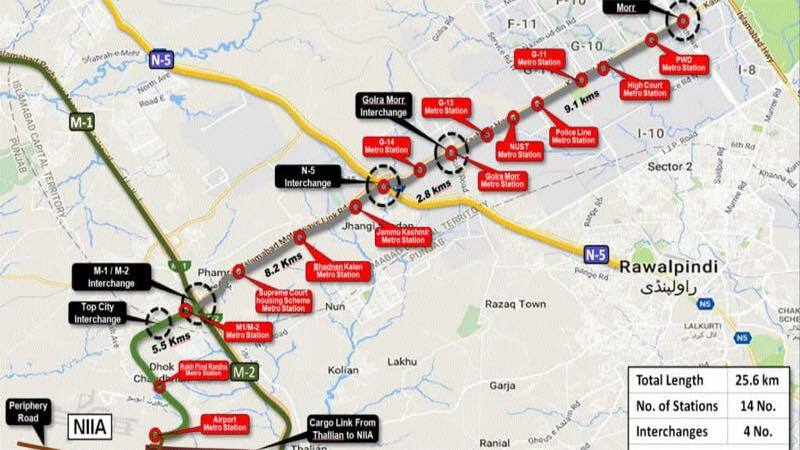 PS: Up gradation of existing road networks & construction of new links may reduce the estimated time from 10 to 15 percent. 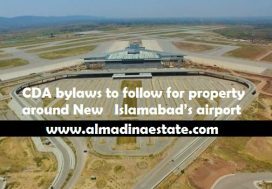 FOECHS Foreign Office Employees Cooperative Housing Society Rawalpindi 100 % Developed Plots Ready for immediate Construction with all utilities available .Standard of development is like Bahria Town Rawalpindi & Dha Islamabad ,wide roads , Parks , Commercials , Masjid . 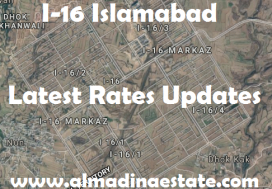 FOECHS Foreign Office Employees Cooperative Housing Society Rawalpindi Connected to I-16/1 Islamabad , where plot size 25 x 50 rate Starts From 2.5 million and very poor standard of development by CDA Islamabad . 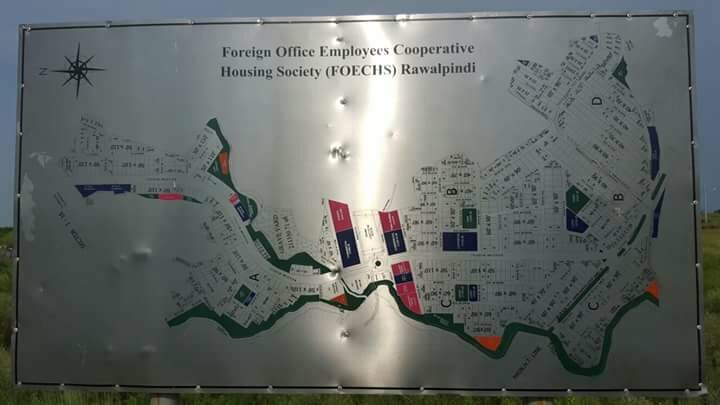 FOECHS Foreign Office Employees Cooperative Housing Society Rawalpindi also connected to Two Major Societies (1) CBR Phase 2 Rawalpindi (Developed & Undeveloped Plots) (2) Up Country Enclosures Rawalpindi (Undeveloped Plots ,Booking Started) . 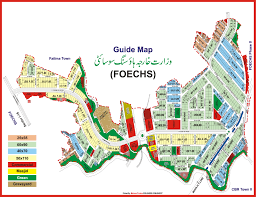 FOECHS Foreign Office Employees Cooperative Housing Society Rawalpindi Consists of 4 Blocks A , B , C , D , Plot Sizes 25 x 55 , 40 x 70 , 60 x 90 , 50 x 110 (Rate Starts From 12 Lacs to 55 Lacs).